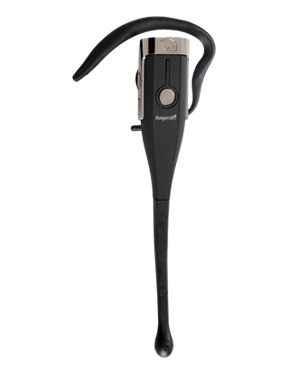 BlueParrot Xpressway II Bluetooth Headset is a device structured for industrial professionals, including truckers and other on-the-go workers who spend a lot of their time on the road. This device offers incredible noise suppression feature and hands-free capability, which makes it perfect for on-the-road usage. 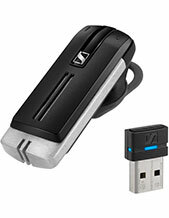 Jabra, a GN Netcom subsidiary, is a popular developer and manufacturer of corded and wireless headsets for different usages, including call centre environments, mobile phone usages, and office-based uses. 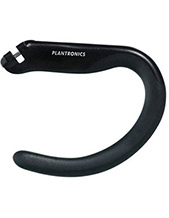 A top-notch business and consumer electronics company established in the year 1983, the company has established its worldwide scope with the help of founder Elwood “Woody” Norris. Currently headquartered in Copenhagen, Denmark, it was able to be the personification of innovation, quality, and comfort. Jabra Corporation is rooted in the responsible enterprise in the development and introduction of the ear-radio and ear-microphone technologies in the global market. The company was part of Norcom Electronics in the past, before it changed its name to Norris Communications, Inc. or NCI. Randy Granovetter and Braen Murray then founded Jabra from the assets of Norcom’s EarPhone product, which was spun off to their hands. It was after the establishment of their company that the invention and development of EarGels and DSP-based Echo and Noise Cancellation Technologies came to be. Headsetsonline Pty Ltd is recognised to be one of the most popular and reliable online stores to provide wide selection of headsets, headphones, speakers, and speakerphones in the Australian market. It is a leading Australian enterprise that offers corporate sectors and government agencies with wide selection of headsets, headphones, and speakerphones. Since 1998, the company has been operating in the local market as a new division under a specific powerful company that has been doing the same thing for decades. This has provided the company with the necessary experience in the market to be considered an expert. 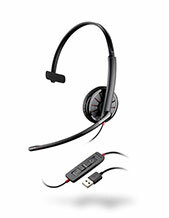 Headsetsonline is popular for its high quality offers and for prioritising the needs of customers. The company gets all of its products and solutions from reliable Australian distributors, where all of the products are certified to pass Australian standards. In addition, these products also come with warranties that can be used by customers, wherever they may be all over the country.